Local to the St. Petersburg area, our garage door specialists ensure that you’re obtaining the best possible garage door solutions. Whether you need a replacement, a repair or an installation, our team here can come out and provide the quality services you’re in need of same day. Local to the area, we can be there as soon as you need us, so that you can feel confident hiring a professional for the job that needs to be done. Give us a call (727-224-7599) today! When searching for a quality, reputable company, it is ideal to search for someone that understands what they’re doing. With BP Garage Doors, you can ensure that our years of experience and our knowledgeable staff will take care of you from start to finish. 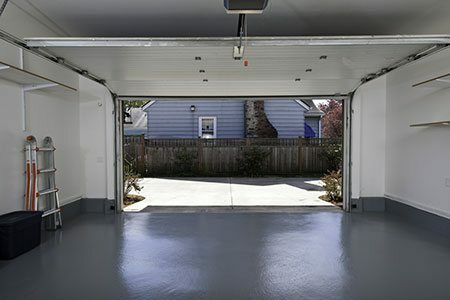 No matter what problem your garage door is having, we can tackle the issue and get your garage door working like new. We want to provide the right services you can trust and count on in St. Petersburg and we can be that company that comes in to assess the situation and then repairs it, so you don’t have to worry about the issue happening again and if it does – just give us a call (727-224-7599) and we can come back out to provide further services. We provide garage door replacements in St. Petersburg that provide the homeowner with a way to enjoy all that comes from the services that are being provided. You can ensure that you have the garage door replaced so that the issue that once was is no longer, or just to get that fresh new face lift that you wanted for the outside of your home. Even installations are covered through the use of our knowledgeable professionals. We can come out and provide the help that is needed to ensure that the new garage door that you want out on the front of the garage is not only installed correctly, but working properly. We can provide you with more information on how to use the opener and ensure that you know who to call if something were to happen to the door while using it. You need to trust in someone that understands garage doors. Let our team of professionals in St. Pete be those professionals you need and want. We can ensure that you’re happy with the outcome when it comes to having a garage door repair, installation and replacement team in St. Petersburg that works with you. PRICES THAT CANNOT BE BEAT! Serving the St. Petersburg area, we are open to help you whenever you need a bit of help. Give us a call today and find out when we can come out and provide the help you are in need of. We are more than happy to provide the repairs you need. Give us a call (727-224-7599) today and speak with us more about your garage door issues! We are always here when you need us the most!